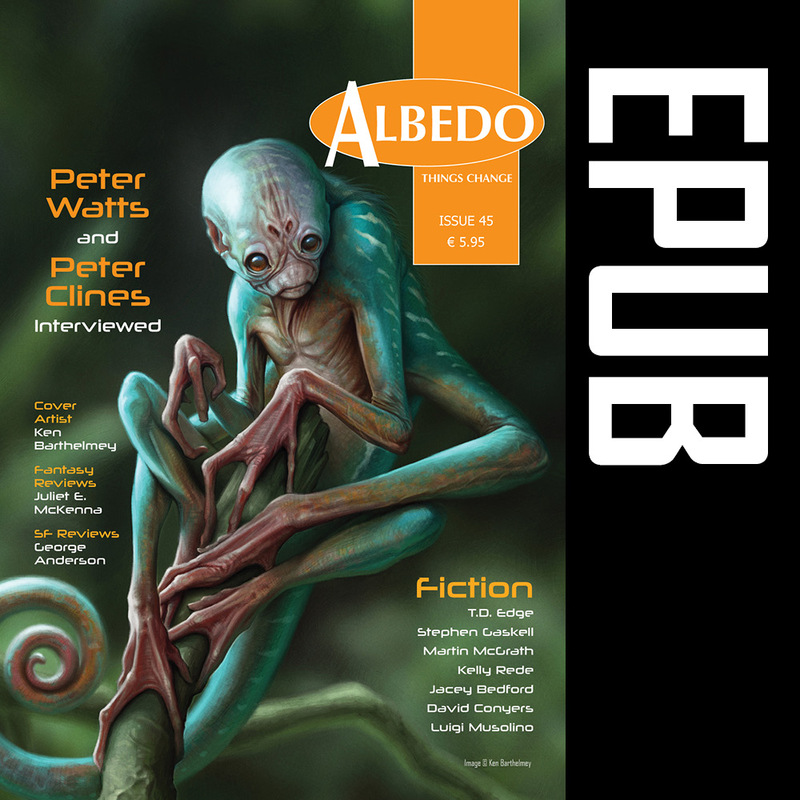 This issue features new fiction from TD Edge, Stephen Gaskell, Martin McGrath, Kelly Rede, Jacey Bedford, David Conyers and Luigi Musolino. 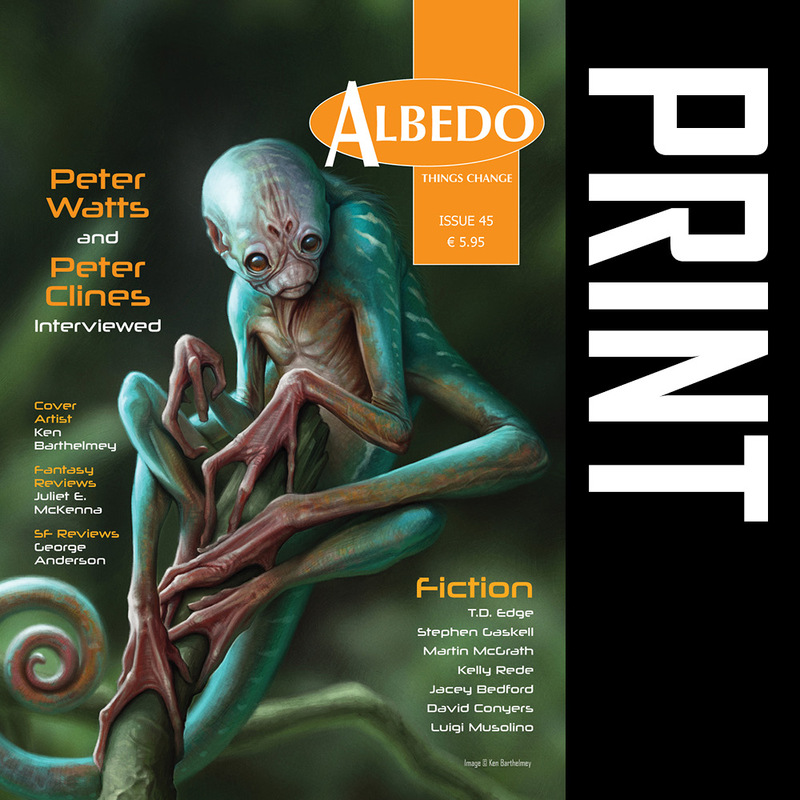 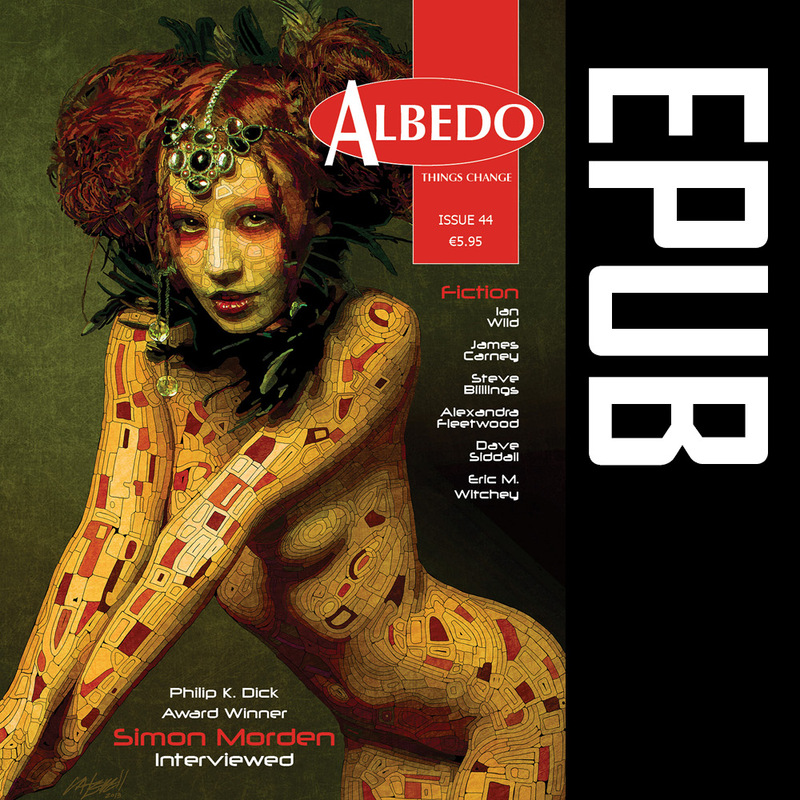 Also featured is an in-depth interview with Hugo Award-winning hard science fiction author Peter Watts, interview with zombie-superhero crossover author Peter Clines, cover art by Ken Barthelmey, and reviews columns from Juliet E. McKenna and George Anderson. 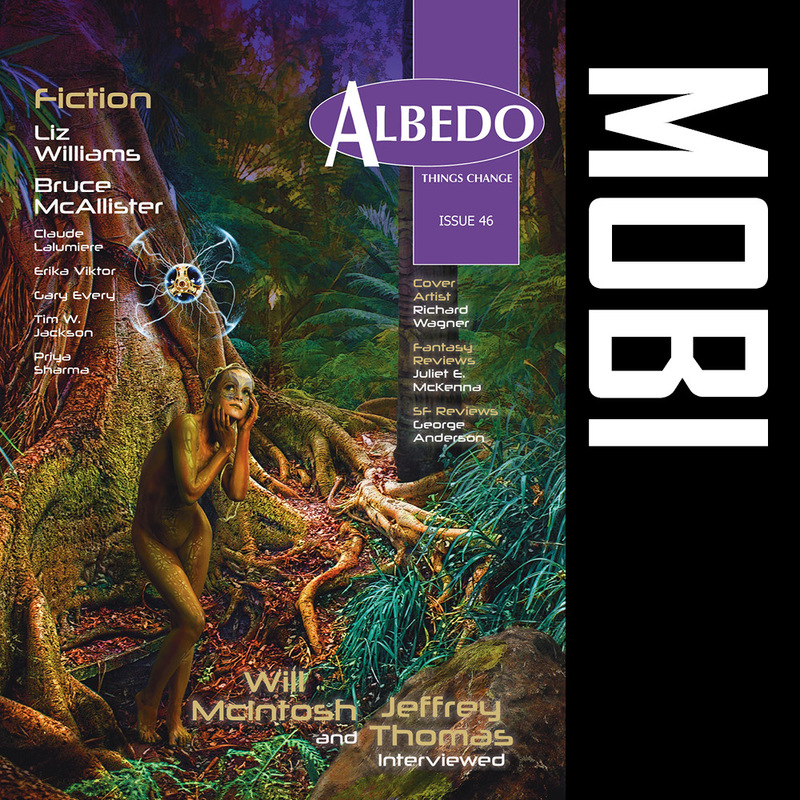 Experience otherworldly love that cannot last, grant a daughter her dying wish on a desolate Mars, journey with an apocalypse survivor whose wife and daughter have been edited from his perception, and squirm at the deprivation behind the scenes of a child pageant.